The Mpls Downtown Improvement District Greening Lab is a pilot project for improving public realm greening outcomes in the downtown Minneapolis community. It is supported through research assistants at the University of Minnesota College of Design in partnership with the Minneapolis Park & Recreation Board (MPRB), Mississippi Watershed Management Organization (MWMO) and Green Minneapolis. The Greening Lab’s scope of work focused on analysis of current greening situation, enhanced maintenance and streetscape pilot projects. Through the MPRB inventory system, we found a robust tool that had incomplete and inaccessible data. Communication was not always straight forward. As of June 6, 2017, we had direct access. A UMN Research Assistant was verified. Through supplemental watering of 2016-17 trees, there was $10,000 raised from Downtown Minneapolis Neighborhoods Association to support the project. The outcome was MPRB watering new downtown trees weekly throughout June at their expense. Tree tags with auto-populated information (species, inventory number, and an automated text system) were implemented. The outcome was MPRB assigning dedicated tree inspectors downtown. Research and communications efforts were also supported by MWMO. 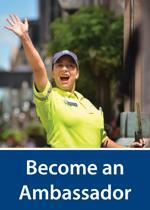 Funding to support streetscape improvements this fall are now taking shape. The City of Minneapolis is issuing $142,000 toward this initiative, and private funding is being fundraised through Green Minneapolis. The Greening Lab has already contributed to the Washington Avenue streetscape project, with more opportunities on the way. 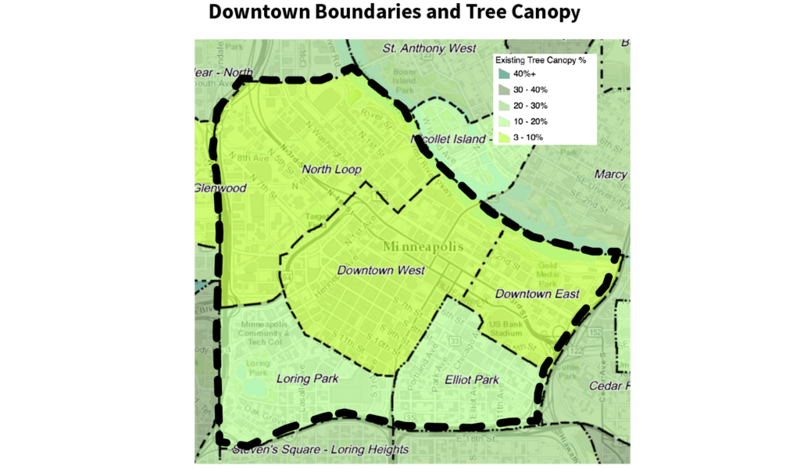 The mpls downtown council’s Intersections: The Downtown 2025 Plan looks to establish and intensify the tree canopy throughout downtown—on every block and within every surface parking lot. Minneapolis’ notable urban forest should find its way into downtown. Mature trees should grow along every sidewalk of ever block, as well as around the perimeter and into the midst of every surface parking lot. 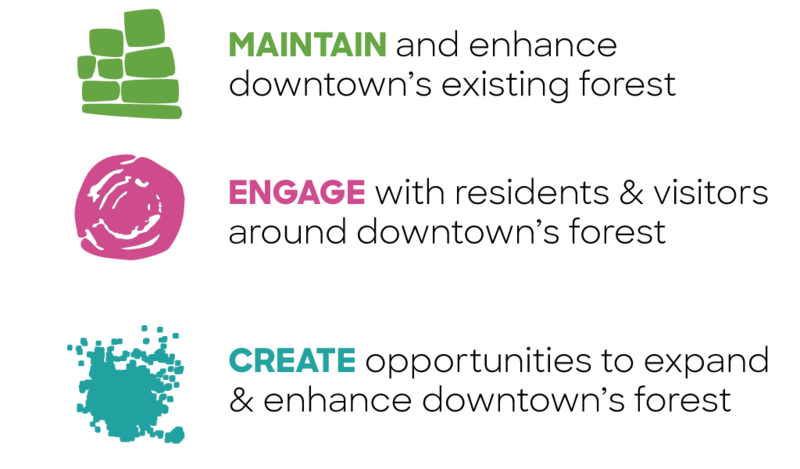 In keeping with these best practices, we created three categories to track and frame all the progress being made toward achieving The 2025 Plan’s green infrastructure goals.